It is time to do it! You definitely know, what doe we mean! You have to open the door! It is not so easy as it seems to be, so be ready to use all your thinking abilities. Be sure that you will cope with it at any rate! 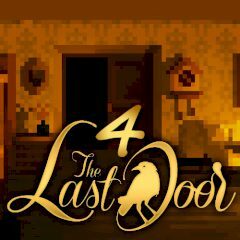 Are you able to open the last door? To play, just click to interact, and the changing cursor will represent the action you can try to take. Click the magnifying glass to use it to examine items you're carrying, or just click the item itself to ready it for use. You can also try to combine things you're carrying by first clicking on one item, and then another. They will automatically merge if they are supposed to. While most of the game play is fairly logical, there is a lot of backtracking. So, if you are ready, just take part!